In our ongoing pursuit to meet consumers ever-changing needs, Discount Cabinet Corner offers cabinet solutions from value price import cabinets to full custom cabinets and everything in between. We have nationally known brands such as Kraftmaid, Diamond and Kabinart. We also carry some of the fastest growing lines in the country such as Fabuwood and Wolf Classic. We offer high-quality cheap cabinets with prices to fit most budgets. No matter what your project requires, Discount Cabinet Corner has just what you are looking for. With over 60 years combined experience serving the New Jersey and Philadelphia region with an eye for design, the staff at Discount Cabinet Corner has the expertise to make your kitchen a functional and beautiful addition to your home. In addition to cabinetry, Discount Cabinet Corner sells a wide variety of brand name flooring products such as Shaw, Mohawk, Bruce, and Armstrong. Other building supplies include stock and/or custom doors and windows, decorative moldings, glass shower systems, and vanities. Stop in and discover what most professionals in New Jersey and Philadelphia already know - that Discount Cabinet Corner offers you a unique opportunity to buy quality name brand products without having to break the bank. 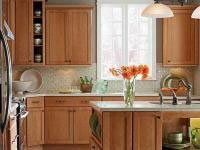 Discount Cabinet Corner is a professional family-owned, one stop shop. We are conveniently located in Pennsauken, NJ just minutes from Philadelphia. Come in and let our designers guide you through your next project from beginning to end. If you are looking for the best quality cheap cabinets in the region, look no further! Thank you for visiting our site; we can’t wait to see you in our showroom.